Welcome to Brownsville, Tennessee! This area sits just north of the US Hatchie Wildlife Refuge, offering you a lovely old town scene with plenty of attractions around the area as well! As one of the main local attractions, the Wildlife Refuge offers almost 12,000 acres of animal habitats for viewing and seasonal hunting and fishing as well! Brownsville also offers a variety of delicious restaurants as well and bars for you to enjoy yourself at! A few of our favorite eateries are Brownsville Family Restaurant, Helen’s Bar BQ and Olympic Steak House. Brownsville Family Restaurant offers an American menu, a comfortable setting, and great service! Helen’s is a southern style spot with some of the best barbecue in the area, don’t miss out on the homemade food that’ll blow you away! Olympic Steakhouse is an all you can eat spot with some of the best food in the area, be sure to take advantage of this spot while you’re here! When it comes to drinks, our favorite spot to go to is Slide and Ride 2, a bar with live music, dancing, happy hour drinks and more! Make the most of your trip and stay here in Brownsville this year! 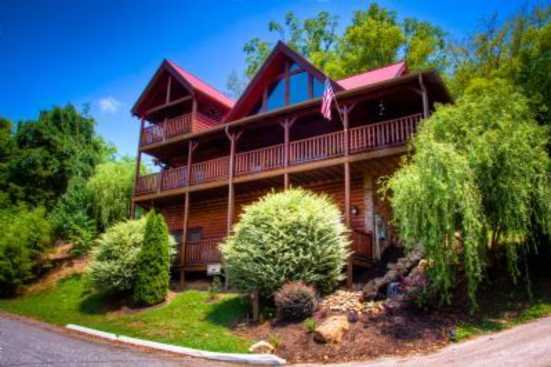 Smoky Mountains by Owners is proud to have the opportunity to let you stay here in Brownsville, so book online today and begin planning the trip of a lifetime! We look forward to having you!